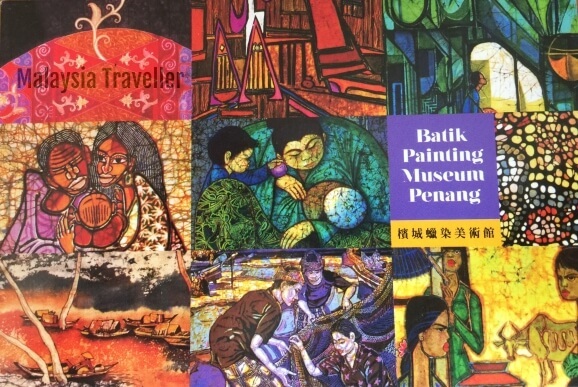 I love batik art and Batik Painting Museum Penang has a great selection of over 90 original paintings by some 30 accomplished artists. The museum occupies a three-storey shophouse in busy Armenian Street in the historic core of George Town. 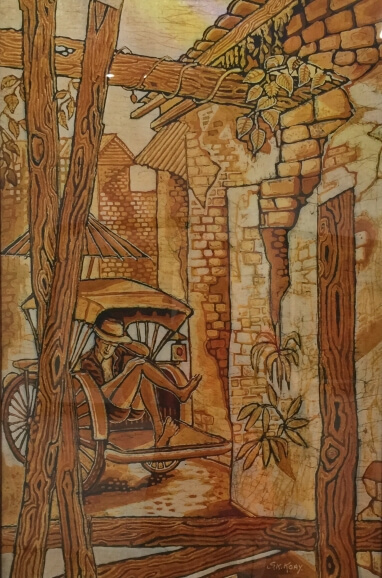 'Siesta' is an early work by Koay Soo Kau (born 1946) in 1983 showing a weary tricycle driver taking an afternoon nap. 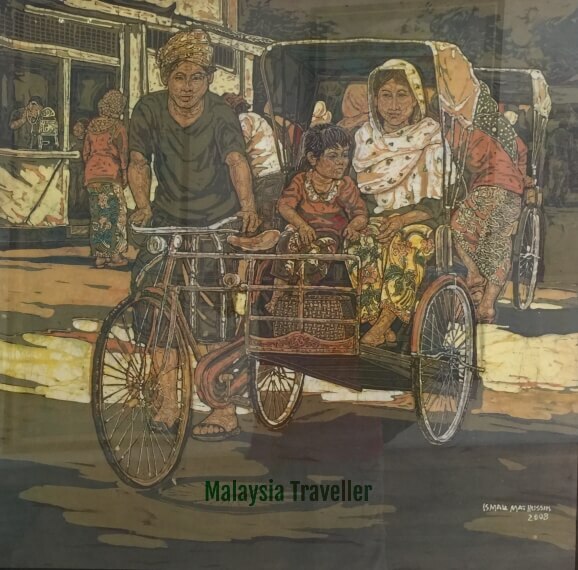 'Two Trishaws' batik painted on cloth in 2008 by Ismail Mat Hussin (1938-2015). Trishaws are becoming rarer in Malaysia (except for tourist rides) but are still used for transport in parts of Kelantan. 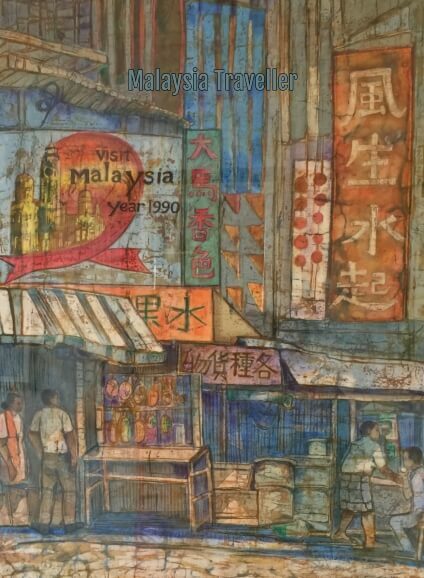 'George Town Heritage City' batik on cloth painted in 1980 by Chuah Siew Teng (born 1944). 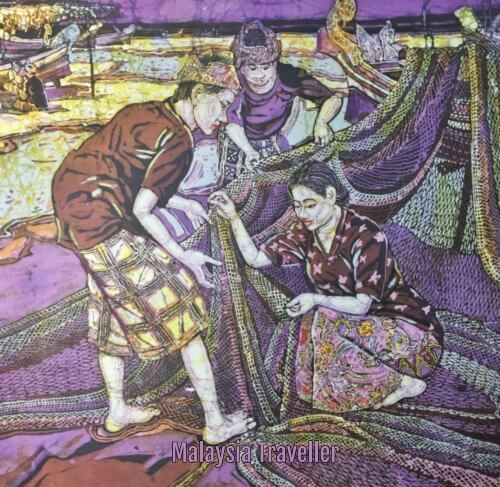 'Women at Work' batik painted on cloth in 2007 by Tan Thean Song (1946-2017). This is my favourite. 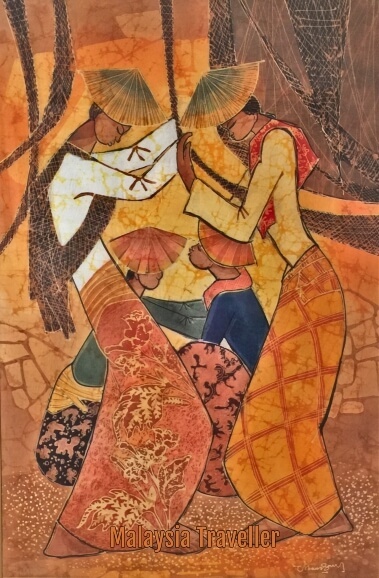 'Women with Baskets' batik on cloth painted in 1991 by Yong Kheng Wah (born 1945). Kampung houses on stilts in the background. I notice that most of the artists displayed in the museum were born in the 1930s, 40s and 50s. I hope younger generations are continuing the art otherwise the skills will die out. 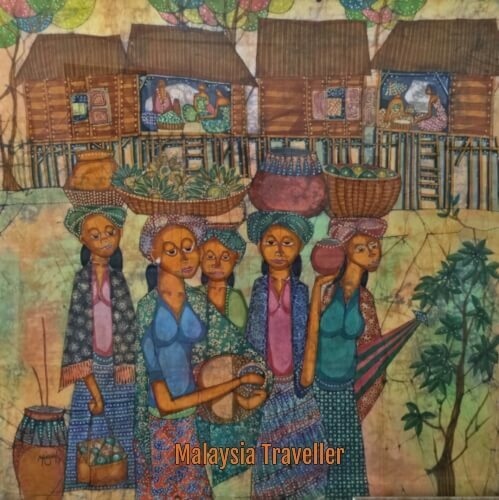 Naturally visitors are able to buy some nice batik art pieces in the shop at the entrance. 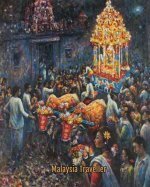 Definitely worth a visit if you are interested in art and/or batik. The price included this nice postcard. You can find more details on their official website. 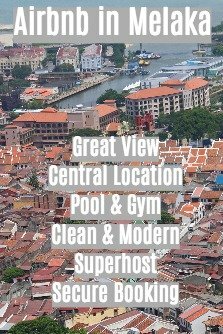 See my Penang Heritage Trail for details of the many other attractions worth seeing in historic George Town.